President Donald Trump signed an executive order Monday that allows veterans to apply their experience on military ships toward mariner credentialing and waives licensing fees, typically thousands of dollars. WASHINGTON (AP) — President Donald Trump is making it easier for active-duty service members and veterans to find civilian jobs by becoming U.S. Merchant Mariners, who transport cargo and personnel in peace and war. Trump signed an executive order Monday that allows veterans to apply their experience on military ships toward mariner credentialing and waives licensing fees, typically thousands of dollars. 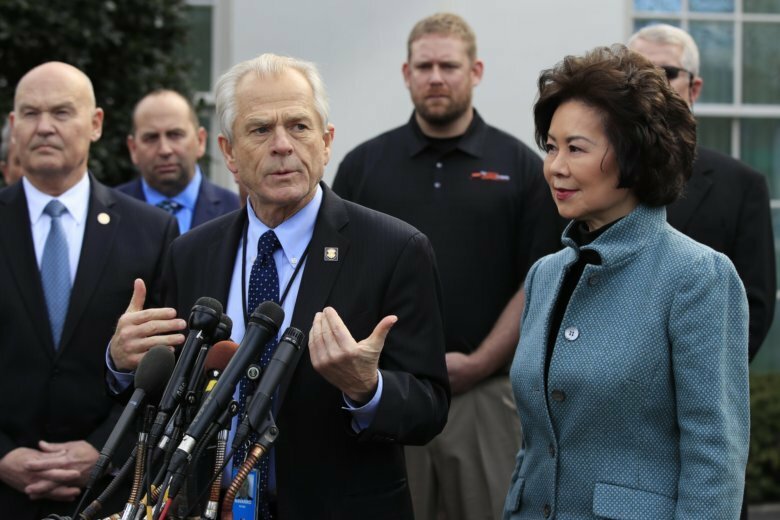 White House adviser Peter Navarro says the action will fill a shortage in the Merchant Marine. He says the number of those who have sailed in the last 18 months is below 12,000, and if the U.S. entered into a large-scale military conflict, it could face shortages in Mariners supplying military personnel.